Sakai Community DocumentationSakai 19 User Guide (English) Email ArchiveHow do I modify the Email Archive options? Prev: How do I send messages to the Email Archive? 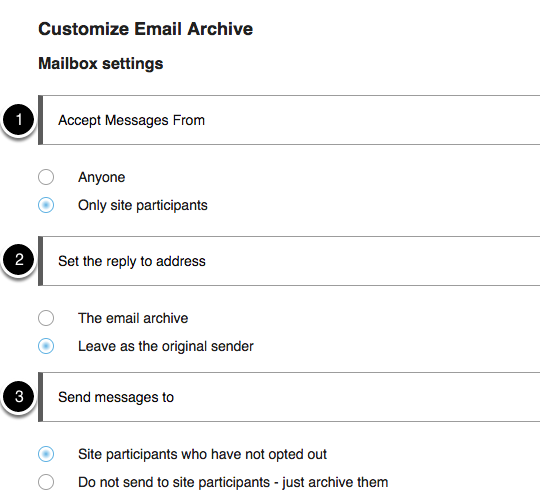 Next: How do I change the Email Archive permissions?